With a beginning in Duluth, Minnesota, Zhumell binoculars have maintained an eye on the past as they look forward to a future relevant to its industry. Starting with only one product, the 10X42 waterproof binoculars, the company (then a part of Thralow, Inc.) has grown into six product ranges, as well as a new corporate home in Omaha, Nebraska. The Zhumell brand (along with sister companies telescopes.com, spottingscopes.com, binoculars.com, and others) was purchased by Hayneedle in 2006 and adopted its Nebraska home. To be fair, some might say that Zhumell is not the best-known brand of binoculars in the world. In fact they may be considered one of the better-kept secrets in the market. Their product offerings include binoculars, telescopes, spotting scopes, monoculars and opera glasses. They also do not offer sales on their own website, choosing instead to offer them through other, better known binocular sales sites. When the company first began, its goal was not to offer the absolute best product on the market, or the highest priced opticals. Instead, they focused on creating value at entry-level prices. To achieve the value in their products they seek out good components and workmanship and add features not typically seen in products within the same price range, making them a reasonable value for the price. Zhumell started by providing binoculars that performed as well as what was already available for less money and they targeted the market for bird watching and wildlife. They also moved into the marine and astronomical binoculars, which are designed to be an alternative to heavy, often bulky, telescopes. Based on OpticsReviewer research so far, we believe that most of Zhumell's binoculars are produced by contractors in China. If you have verifiable information about where any of Zhumell's optical product lines are manufactured, please send us an e-mail via our contact page. A small amount of research will disclose that manufacturers in China, as in the rest of the world, are capable of producing widely ranging levels of quality. Some very high-quality optics are produced there, as well as some which will routinely produce eyestrain and headaches. You're doing well by conducting careful research before purchasing! September 2014 Update: It's our understanding that Hayneedle is discontinuing the Zhumell optical brand. For those with a warranty claim, it's reported that Hayneedle is paying the original cost of the binoculars inasmuch as replacements and/or replacement parts are no longer available. 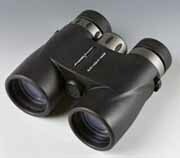 Our articles about Zhumell binoculars will remain for reference purposes. If you were considering a Zhumell for personal use or as a gift, you might be interested in our Best Binoculars page where we tell our favorite binoculars in several price ranges and categories. The Zhumell product line consists of astronomy, marine, short-barrel, and zoom binoculars that allow the user to change their power while in use. 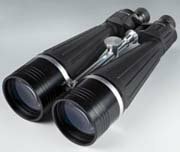 However, binoculars are not the company's only market focus as they also offer brass nautical telescopes, dobsonian telescopes along with reflective and refractor telescopes. A spotting scope is also on their list of offerings as well as a range of accessories sold for their products. Some Zhumell binoculars are also nitrogen purged and are sealed with o-rings which are lubricated for a wide range of temperatures, making them both waterproof and internally fog-proof. The 42-mm models, which are ideal for general use, weigh 29 ounces although for about the same price, binoculars with 42 mm objectives from other brands can tip the scales at about a half-pound lighter. One complaint that is sometimes heard about Zhumell binoculars, as they are received from the retailer, is that they sometimes arrive out of collimation or with poor collimation. However, even though the documentation from Zhumell doesn't mention the locations of the adjustment screws, they are there and if you know where to look and you know how to do it, you will be able to adjust the collimation on the binoculars. Adjusting the collimation is NOT something for you to learn about on a binocular you can't afford to ruin, however, so please approach it accordingly. Normally you can also send the binoculars back to your retailer if they are delivered with poor collimation and ask for a replacement. In general, although they're not usually considered outstanding values, Zhumell optical instruments give a reasonable value for the price. Zhumell 20X80 SuperGiant Astronomy Binoculars are nearly as well-known as Zhumell's Tachyon 25X100 model.The Zhumell Tachyon 25X100 binoculars offer a metal case and enough power to clearly see the craters on the moon and beyond. The 100-mm objective lens and 4-mm exit pupil are adequate, but are at the lower end the range for allowing enough light into the eyes for viewing of the night skies. Weighing just over 10 pounds (164.8 oz. ), they are somewhat heavy for handheld operation and a tripod is recommended. Zhumell is offering a package which includes a tripod with the Tachyon for a correspondingly higher price. The Zhumell 20X80 SuperGiant Astronomy Binoculars package includes the binoculars as well as a tripod, yet weighing in at only 4.4 pounds (70.4 oz.) they are light enough to be used by hand for field work. Designed as astronomy binoculars, they can also be used for terrestrial observations. The tripods in the SuperGiant and Tachyon package deals are likely to be serviceable for the average person. A better tripod arrangement, in our opinion, can be had by getting a suitable Manfrotto or Garrett tripod. For those budgeting carefully, the Garrett 5000 model will provide good service - especially for the Tachyon. There are occasional reports of SuperGiant or Tachyon binoculars arriving out of collimation or even with dust inside. If this happens to you, the warranty should cover servicing or replacement. Please let us know what your experience is with warranty claims! As its name suggests, Zhumell short barrel waterproof binoculars are shorter than standard sized binoculars, making them easier to carry and more portable. The Zhumell Marine products are also waterproof and weather proof with multicoated lenses and are designed for rugged use. While they are designed for use on and near the water, like all optical devices it is not recommended they be left out in the elements when not in use. Although Zhumell binoculars carry extensive warranty coverage, owners will still want to take precautions with their investment. Zhumell 20x80 SuperGiant and Tachyon 25x100 binoculars reviewed for astronomy and viewing things closer to earth - a good value or a waste of money?